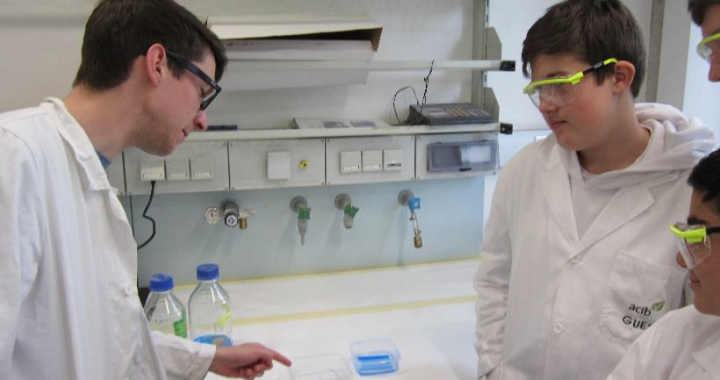 In collaboration with acib we organized taster days for students (13-14 years). 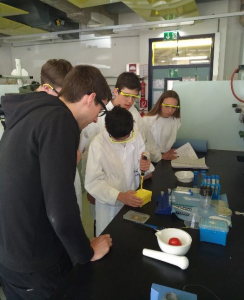 After a short presentation about Biotechnology and its applications, the students were divided in small groups and got hands-on experience in our TU Graz labs. They measured pH values of different everyday liquids and learned how to work with pipettes. A highlight was the isolation of DNA from fruit and vegetables. The students also ran SDS-PAGE of crude cell extracts with and without recombinant protein. To illustrate the activity of enzymes (esterases), we did a colorimetric assay with them. Photo: Markus Hobisch supervises the extraction of DNA from a tomato and how he explains the results of the SDS gels to the students. 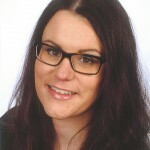 Aline is a dedicated PhD student from TU Graz who has the passion to share her knowledge to hungry minds.